Whatever you thought of the song itself, you had to acknowledge that it was one of the greatest marketing ideas in the history of rock music: a band records a song about its burning desire to make it to the cover of Rolling Stone magazine and… ultimately achieves its goal! Genius! It wasn’t easy though. Let’s back up. The band was called Dr. Hook and the Medicine Show and its roots stretched back to a southern band formed in 1967 called the Chocolate Papers, which had some success touring but not on disc. After that act fizzled, two of its members, George Cummings and Ray Sawyer, relocated to Union City, N.J., just 15 minutes outside of Manhattan, and recruited a local bassist, Dennis Locorriere. Billy Francis, another ex-Chocolate Paper, rejoined his old pals, a couple of other musicians were added and they were soon on their way. 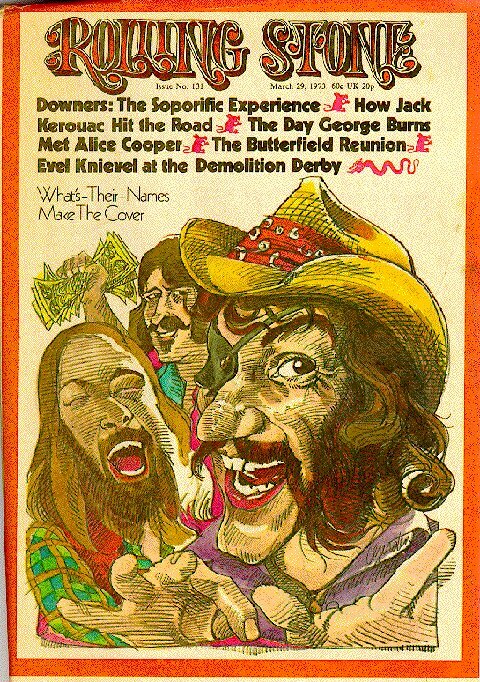 Not much happened with the band—which took on the Dr. Hook and the Medicine Show moniker due to Sawyer’s eye patch—until 1970, when it was tapped to cut the soundtrack music for a new Dustin Hoffman flick called Who Is Harry Kellerman and Why Is He Saying Those Terrible Things About Me?, which featured songs written by poet/cartoonist Shel Silverstein. (Trivia note: One scene was filmed before a Grateful Dead concert at Fillmore East, the day that Jimi Hendrix died.) The film, which included Dr. Hook performing the song “Bunky and Lucille” onscreen, was a bust (for good reason) but it brought Dr. Hook to the attention of Columbia Records, which signed them to a contract. Columbia Records had argued with the band about some of the lyrical content—“We take all kinds of pills that give us all kind of thrills” and “I got a freaky ole lady name a cocaine Katy”—but the song was released as a single nonetheless, and by the end of 1972 it had begun its climb, peaking at #6 in Billboard the week of March 17, 1973. The gamble had paid off: Dr. Hook had staying power. Did you buy five copies for your mother? While the song was ascending the singles chart, the group’s manager, Ron Haffkine, met with Rolling Stone’s editor and publisher, Jann Wenner, convincing him that the band was basically providing a radio commercial for his magazine. 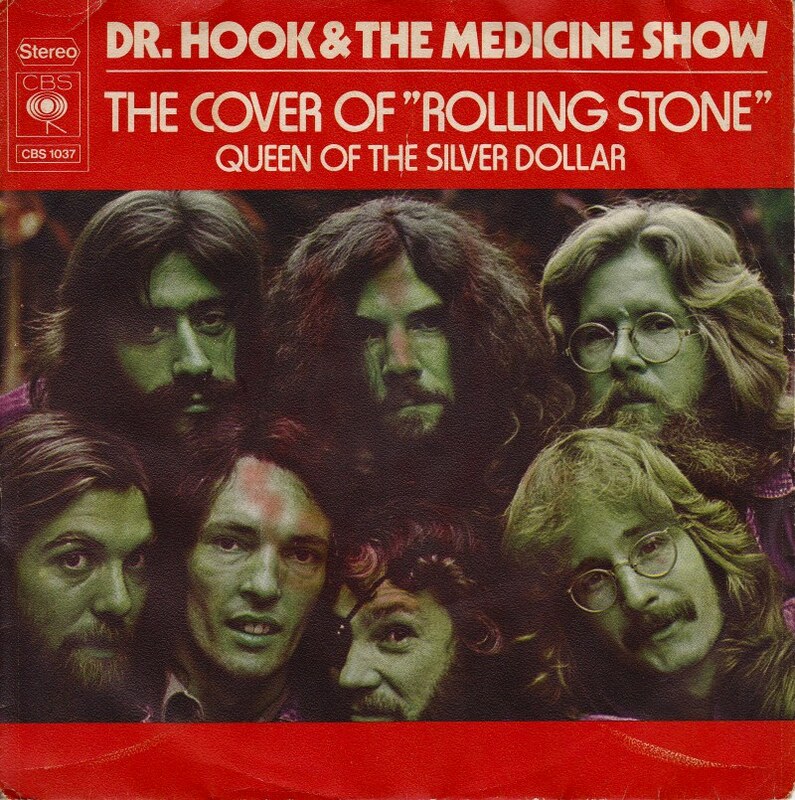 Wenner was persuaded, and sent young reporter Cameron Crowe to interview Dr. Hook and the Medicine Show. Issue #131 of Rolling Stone, published March 29, 1973, featured the “Cover of the Rolling Stone” band on the cover of Rolling Stone. If you look carefully at the image, you’ll note that although Wenner put them on the cover, he avoided mentioning them by name. Dr. Hook (they shortened the name) continued to find success—there were four further top 10 singles and a string of charting albums—into the early ’80s, but to many rock fans they remain best known for that one impossible feat: singing their way onto the cover of the most popular rock magazine ever created. I saw dr. Hook in WV. Years ago in a bar I worked at called the White House. Loved them. Where are they’re.? Dr. Hook surprised us and got up to play with a band on the front porch of my restaurant “Squealer’s BBQ in Meridian, Ms! What a thrill, one of my childhood idols! He sang “on the cover of The Rolling Stone”. Would love to be surprised like that again! He doesn’t know it, but a Southern Living writer and photographer were featuring our restaurant in a new book “the South’s Best Butts”, and they took a picture of him and the band that night. He is in the book with us!